Anvil01263 715779work01603 870304fax Self-cateringThis lovely detached bungalow has a large enclosed garden to relax in and plenty of parking. It is ideal for family holidays and the immediate countryside offers a wonderful selection of rural paths and woods to explore. 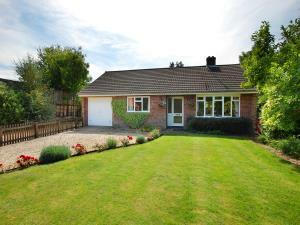 This lovely detached bungalow has a large enclosed garden to relax in and plenty of parking. It is ideal for family holidays and the immediate countryside offers a wonderful selection of rural paths and woods to explore.